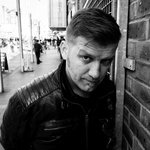 Mario Batkovic is a composer, represented for film and game scores by Soundtrack Music Associates (Los Angeles). 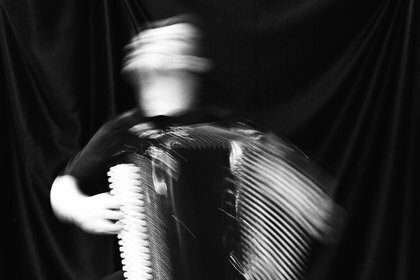 He is signed to Invada Records (UK) as a solo accordion artist, a label founded by Geoff Barrow (Portishead). His debut solo album received widespread critical acclaim, with Rolling Stone magazine listing it in the top 10 avant-garde albums of 2017. Batkovic tours consistently, playing festivals such as Bushfire (South Africa), Supersonic (UK), Le Guess Who (NL) and the Montreux Jazz Festival. He is currently recording a new EP for Invada, collaborating with the English electronic musician James Holden, and Clive Deamer, drummer with the bands Radiohead and Portishead. This will be released in 2019, followed by his next full length album, also on Invada Records. 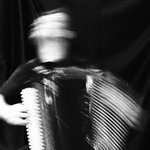 Batkovic’s mission is to explore the sonic possibilities of the accordion, without effects or loops, rather through a mutualist symbiotic relationship between man and instrument. Challenging, hypnotic, and grandiose; Batkovic’s single-handed symphonic vision is certainly unique.